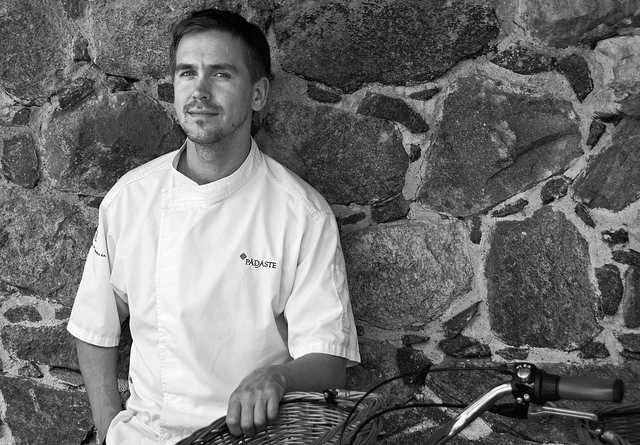 I have already introduced many Nordic chefs to you, but I would have been upset (or disappointed) with myself if I missed the opportunity to introduce to you Peeter Pihel, an incredible chef who resides in Tallinn and on Muhu Island on the coast of the Baltic Sea. Chef Peeter Pihel has most definitively many of the characteristics of the New Nordic Cuisine but Estonia is not Scandinavia! The restaurant Alexander is located in a very old manor named Pädaste Manor and it has a very rich history (more than 800 years). After experiencing owners Danes, Germans, Russians, a few years back, The Pädaste Manor was converted into a chic and small hotel that is in perfect sync with the Muhu Island’s environment. A native of the Island of Saarema (Estonia), Chef Peeter Pihel accumulated his experiences through his excursions (explorations) on many of the small Estonian islands, in order to create a very unique cuisine. A cuisine that is a mixture of the New Nordic Cuisine, with Estonian’s roots and traditions (Blood cream, Hapurokk etc.) and uplifted by a technique open to the world. This is certainly one of the most original and exciting chefs of the moment (in the world)! 1-(Scoffier) How do you explain the philosophy behind your cuisine and what is it main characteristics? Can you explain the difference between Pädaste Manor(cuisine) and NEH Restaurant? 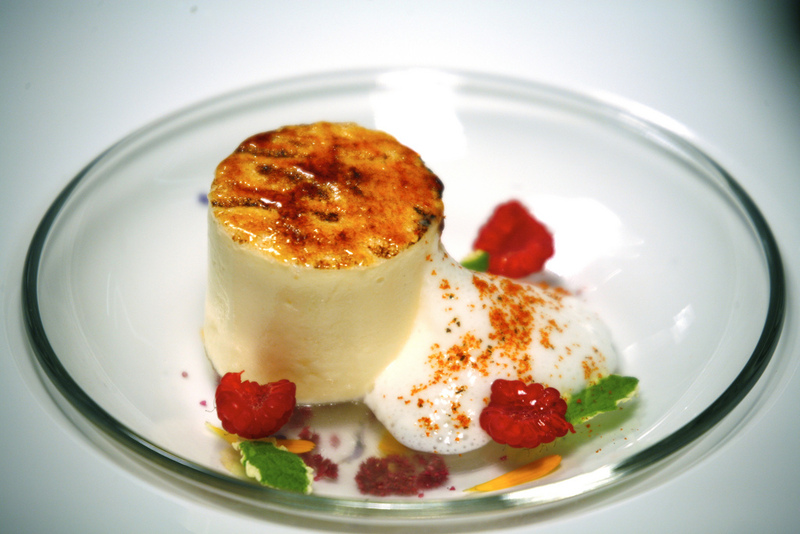 The cuisine of Alexander restaurant at Pädaste Manor is firmly routed in our surroundings with focus on produce. We prefer things to be local, raw, wild and seasonal. Our region is about Muhu Island of course but also Gotland, Bornholm, Åland, Öland, and the neighboring islands of Saaremaa and Hiiumaa. We decided to tread back, unfold and sometimes rediscover tradition. We Offer at clients a choice of palates in the fine tradition of the Nordic Islands’ Cuisine; Smoking, pickling, drying and salting are common. Not needed any longer to help survive the winter, they now have become enjoyable gastronomical delights instead. Tastes that gain character from produce and techniques originating from the Nordic Islands guide us in our cooking, as do the seasons. There are incredible advantages to a rough and rugged climate. No doubt this contributes to the taste of food. The islands belonging to the Nordic Islands’ Cuisine area are all quite similar despite their location. There is high quality lamb, pork, venison, moose and wild boar, not to forget fish, vegetables, honey, mushrooms and berries. The vegetables and herb garden at Pädaste Manor provide us with the ingredients, so does the daily gathering of wild greens and herbs from the forests, fields and beach of our estate. 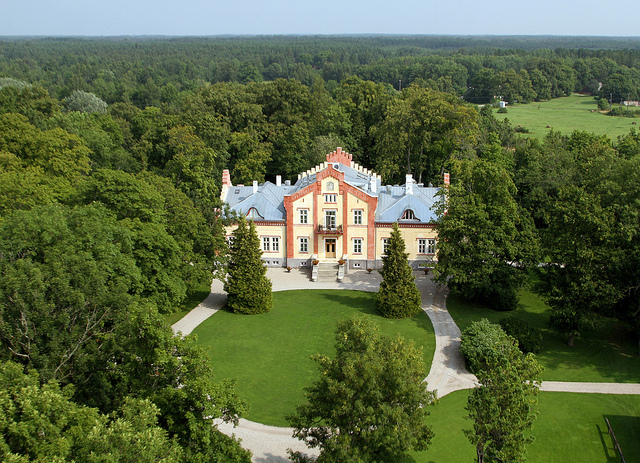 Neh is the winter retreat of Pädaste Manor in Tallinn. A bistro-style foodie heaven that invites to meet our culinary team, we have packed up our pots and pans and moved to town for the cold time of year. In this winter sanctuary we continue to pay respect to Nordic Islands’ Cuisine, authenticity of produce and flavors of the season. Neh is a touch less sophisticated than our Alexander Restaurant at Pädaste – and during winter the style is bistro rather than fine dining. Traditions have always had a prominent position in my family. Indeed, I have plenty of memories from my childhood stored in my ‘taste-bank’. I remember, I must have been about 6 years old, that we used to drive to town every Saturday morning with our green Žiguli. When all the necessary on goings were done and foodstuff was bought we drove back home. It usually took place at lunchtime and I remember that every time we got back home from town, the first thing our mom did was to make a simple spread with smoked Baltic herring, crème fraîche, onion and black pepper. That was a delicious treat together with black bread. I still prepare it now once in a while, especially when arriving home late from work. Well the produce that I most often use surrounds us. I like to mention carrots, mushrooms and berries, spelt, barley, beetroot, moose, our flounder and of course the wonderful Estonian pork. Inspiration and adding it to the essence of ones kitchen is an interesting and ever-evolving process. My first source of inspiration is still the surroundings in which I, as an islander, have been born and brought up. It’s the people and nature around me. I have always been very interested in local folk who have lived in one location for decades and thank to that have interesting stories to tell about the food, wild produce (for example know the best places to pick berries, herbs and mushrooms), and life in general. Those are probably the main keywords that move me as a chef. And then I like to mention the owners of Pädaste Manor, Imre Sooäär and Martin Breuer, hoteliers and restaurateurs. Their passionate drive to create the remote Pädaste Manor into an exceptional destination well connected with the surrounding culture and traditions have set an inspiring framework, as have the various foreign chefs that I had the pleasure to work with. As a general principle I like to share with colleagues. Sharing prods and tickles the mind. 5-(Scoffier) You are at the border of the Scandinavian countries. Do you belong to the New Nordic Cuisine manifesto? If yes, are you as strict (just local products) that René Redzepi in your recipes? My opinion is that most of Estonia’s‘ food culture belongs to the Scandinavian sphere, although there are geographical and cultural differences. The Estonian culinary set also has Slavic traditions but in my kitchen I focus on the Nordic Islands’ in particular. The Islands in the Baltic Sea are diverse but have much in common in terms of shared history, climate, geographical position and traditions of food preparation and conservation. Talking about the produce we use, then we in fact like to be bound by the limits of a certain area. We intend to keep it that way. It is very easy to lose focus, when making compromises with the things you do. Our Nordic Islands’ framework gives our cooking a great sense of belonging. Having said that I do transgress and bend the rule once in a while but more as a playful sidestep. 6-(Scoffier) Can you describe the restaurant’s scene of Tallinn and the progression of the gastronomy in the country? In my opinion Estonian gastronomy moves in the right and logical direction. Having regained our independence only 20 years ago, this was in some ways reflected in the menus of our restaurants. What I mean is that most restaurants started of using exotic produce and dishes in their menus – I think it must have come from the overwhelming feeling of newly gained freedom, trying to drink in everything new and exotic we had been missing out for decades. In some ways it is a very justified phenomenon that comes along with freedom. At the same time at Pädaste Manor, we have maybe always been a bit of an outsider; by stressing the localness from the day we opened 15 years ago. The situation has changed by now of course. The Estonian public has in a short period gotten much more educated in food matters, the thirst and curiosity is now turning towards discovery and appreciation of things local. Looking at innovative Estonian restaurants now, one can see that local produce is on the top spot; our producers of organic food grow and offer quality produce. Restaurants have conceptually matured and you don’t see a lot of an ‘everything for everybody’ approach these days anymore. 7-(Scoffier) How do you develop (your inspiration) your recipes and construct your menu at Alexander (Padaste Manor)? 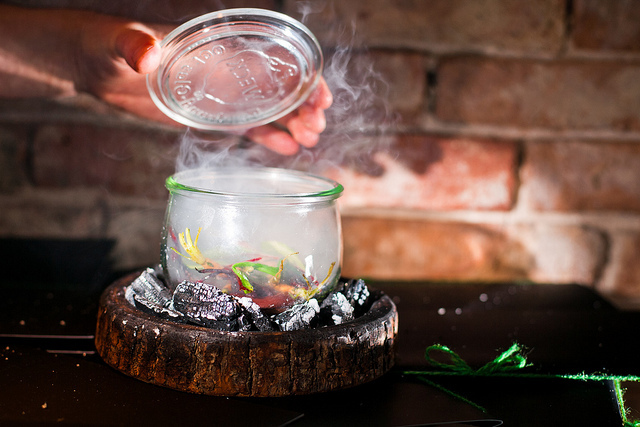 No, we do not use elements from molecular gastronomy in our kitchen. We prefer traditional and sometimes forgotten techniques, which have been among islanders for hundreds of years and that have fed and feasted us. Maybe it’s because we are so close to nature on Muhu Island and subject to the elements and seasons that I prefer my cuisine to be ‘au naturel’; Muhu is very much the Island where time rests. As professional I of course greatly respect the achievements of the molecular cuisine and its nearly scientific understanding of techniques. So close to nature I prefer the raw. Produce as it comes. There is a certain perversion in decomposing and then reconstituting strawberries when nature makes such beautiful tastes, shapes, and textures itself. 9-(Scoffier) Can you give us a detailed recipe (Signature dish or other) that is characterized the cuisine of Peeter Pihel and Alexander Restaurant? 10-(Scoffier) What are your goals (ambitions) as chef or for your restaurant? Do you think about write a book, a television show, others? Talking about ambitions, then first goal is to maintain our title as the best restaurant in Estonia. Keeping focus and deepening our performance but looking at the bigger picture, then we would like to enliven the Nordic Island Cuisine through cooperation between restaurateurs and producers on the various islands of the Baltic Sea. I believe that the determination and diligence, that has helped the islanders before, has not gone anywhere. And we have some ideas about a book, but it is too early yet to talk about it in a resolute manner. 11-(Scoffier) Can you please explain to me a little more your Blood Cream Soup? The recipe of hay-smoked Blood cream began to grow in my mind during a visit to a small museum of Kihnu island. There I saw a picture dating back to 1878 displaying old Kihnu Island fishermen all dressed in white, hunting seals. Kihnu has long traditions in seal hunting, during those rough Estonian winters; Kihnu Islanders used seal meat and blood for food. As seal now is a protected species, there was no chance for me to use seals’ blood so I had to use pig blood instead. The theme for this years Paris des Chefs was ‘Visible and invisible’, I found blood a very intriguing ingredient that suites the theme well. Obviously blood is a substance, which whether seen or unseen, drives very different and personal emotions. Preparing smoked blood-cream is fairly easy with a Thermomix. First thing is to prepare an emulsion of smoked bacon, apple and bouillon. Then add the blood and let the mixture spin for 3 minutes at 82 degrees centigrade. At the same time you smoke it with hay using a little ‘smoking gun’. Serve with ash-roasted vegetables, rapeseed oil and raspberry vinegar dressing. The recipe of Muhu hapurokk is one of the many recipes which’ background and story we have thoroughly investigated within our local community. Talking to fellow Muhu residents we found that everyone has their own little advice and tradition how this particular dish should be made. That’s an interesting process. Back in the day, hapurokk was made as follows: the potatoes were roasted in the oven or in the hot ashes, after that the potatoes would be mashed through a sieve and mixed with buttermilk. That mixture was then eaten with jam. We have used this original recipe to create a lighter version. Our technique starts the same – we also roast the potato and mash it through the sieve, but then we add acidulated birch juice and a little bit of chaenomeles fruit juice, also milk and cream. We mull the mixture and add egg yolk. Meanwhile we prepare a meringue out of egg white and sugar syrup. Later we mix up these two prepared masses – one gives us the sweetness and the other one to bring acidity. Starch keeps it nicely together and the meringue provides airiness.